The show is something that we can only describe as a movie, filled with an energetic performance, Anderson’s mad drumming talent, slick vocals, slick production and a killer setlist. There was nothing missing from that show. Before we got to experience the man of the night. The crowd was treated to a performance from Tayla Parx a young singer-songwriter who hails from Dallas Texas in the USA. The singer who is better known as a songwriter for some of biggest songs of the past year including, Ariana Grande’s 7 Rings, Thank U Next, as well as Khalid & Normani’s Love Lies, Janelle Moané’s Pynk and iI Like It as well as Anderson .Paak himself having written his single Tint’s of his latest album. Entering the space as her own singer and gearing up for the release of her debut album We Need To Talk on April 5th. 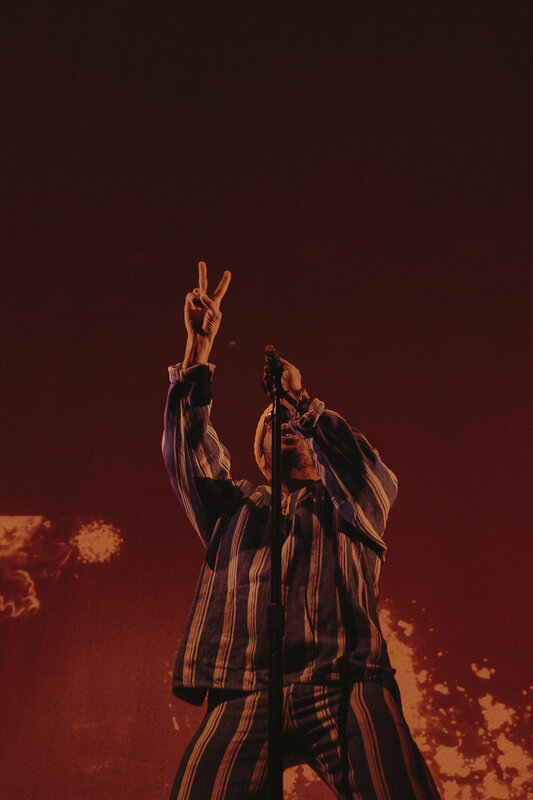 Tayla has been supporting Anderson .Paak on the road whilst he has been embarking on his Beach Club tour in support of his latest album Oxnard. Warming up the crowd Tayla, Tayla showcased her vocal abilities giving the crowd an energising performance which consisted of songs from her previously released mixtape Tayla Made as well the string of singles from her upcoming album. Parx also performed a number of songs she has made including Love Lies by Khalid and Normani and a section of Janelle Monaé’s I Like It. Tayla was able to really bring the energy to the crowd gearing them up from the main act of the night. As well showcasing her powerful vocal abilities and her engaging energy. As a new performer in terms of as an artist and engaging a crowd of 10,000 we’d say she did a pretty good job in doing so. Once the moment arrived Anderson arrived on stage and gave the audience a show that was never short of energy, slick energy and some killer dancemoves. Showing off his druming abilities Andy started off the show with a performance of his The Chase of which he played on the drums and from behind the curtain. Before coming out for Who R U and dropping the curtain for a killer performance of his single Bubblin’. From that moment onwards Anderson just went went 0 to 100 and didn’t stop for the entire show. With moment that alternated between him playing some songs on the drums as well as dancing around the stage, to production which consisted of flames, flashing flights and colourful visuals. Chants from the crowd included “Yass Andy” “Levels” “Absolute Legend” and simply being in that crowd it was impossible to feel the heat and energy from everybody in the room. 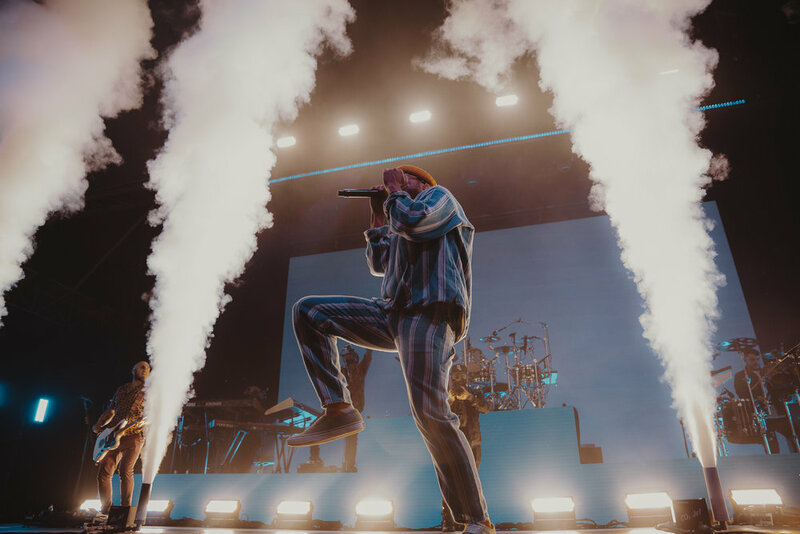 Of course it is not a secret to the power of the performance from Anderson .Paak and his band The Free Nationals who also showed off their strength a band always bringing all the musical feels. After playing at Lovebox Festival last year we knew exactly what he was capable of and seeing him in such a setting like Ally Pally really showed how he is really a force of nature. With just two albums under his belt the variety and range between his musical styles which incorporate various styles of music including hip-hop, Jazz, a bit of funky (or a lot of funk depending on what you are listening too) this was also something he brought in the show. Of course his seltlist was also an added element of the show this showcasing his vocal abilities and his diverse range of talent in terms of the the various songs which included the songs 6 Summers, Smile/Petty, The Waters, Put Me Thru, Am I Wrong, as well as his lastest and new single which is the first off his next album Ventura coming in just a matter of weeks on April 12th. Overall there really wasn’t anything bad that we can say about the show. Maybe except the fact he didn’t perform my favourite track Brother’s Keeper but hey he couldn’t do them all. 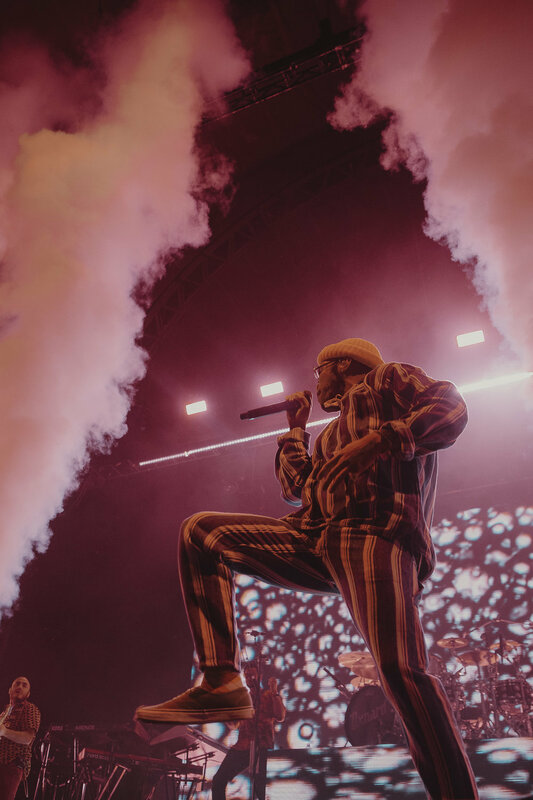 With all the shows we have experienced we can definately but Anderson .Paak & The Free Nationals as one of the high ones and as he finishes off this tour and gets ready for his next album we cannot wait to see what he doest next. Check out more photos from the show below.